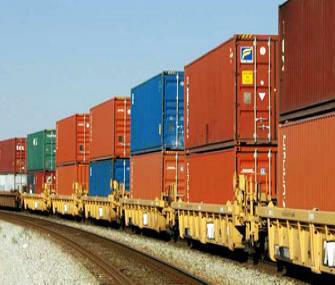 Iran attaches importance for carrying goods for India though the International North-South Transportation Corridor, an official with the Railways of the Islamic Republic of Iran (RAI) told Trend. Nourollah Beiranvand, the deputy for planning and investment at RAI has, has said that his organization views India as a main destination concerning the International North-South Transportation Corridor (INSTC). Elaborating on the cooperation between Iran and India, he added that the sides have held extensive talks to set up an organization on corridor management with the participation of the involved countries in the INSTC. Saying that Iran has held detailed negotiations with Indian freight forwarders on the issue of corridor management, he noted that the Iranian transportation minister, Abbas Akhoundi, is expected to visit India over the coming month for further talks. He added that the creation of a unified organization on the corridor management would benefit all participants. The International North-South Transportation Corridor is meant to connect Northern Europe with Southeast Asia. It will serve as a link connecting the railways of Azerbaijan, Iran and Russia. At the initial stage, it is planned to transport 5 million tons of cargo per year through the corridor and over 10 million tons of cargo in the future.